Comments: Deciduous broadleaf native to Canada, the eastern US, and Mexico. Leaves are large, heart shaped, and serrated. Mature trees to 100' in their native environment. Flowers are inconspicuous, but fragrant. 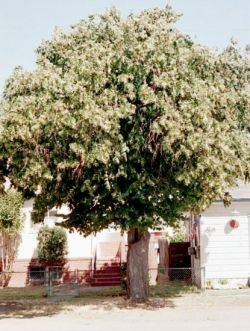 Also known as, American basswood, whitewood or beetree linden.